Two years ago at Cannes, South Africa and Kenya signed a MoU and are now working towards taking their film making relationship up yet another notch. During Discop Africa which was held this year in November in the city of Johannesburg, delegations from these two countries were deliberating over how both could reap benefits from a partnership between them and how resources and distribution resources between the two nations could be tapped into. The aim is that both countries can benefit from what the other has to offer. South Africa currently has eight co-production treaties running, but an agreement with Kenya will be the first treaty with another African nation. It’s hoped that this would set in motion greater co-operation between other African nations as well and that it will allow the continent to begin consuming what it produces within itself instead of what comes from abroad. 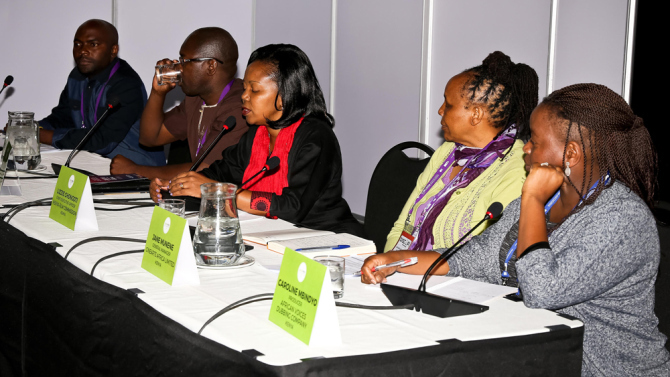 One concern that the delegations addressed was the fear that since South Africa possesses over the continent’s most advanced and developed film industry, that it might create a Big Brother situation, where the more advanced South African industry ends up dominating and controlling their Kenyan counterparts. Terrence Khumalo of the NFVF (National Film and television Foundation) stressed that this would not be the case and that the point is not for the South African industry to impose itself on Kenya, but for South Africa to learn from Kenya instead. Khumalo added that the South African delegation was very taken in by the how successfully Kenya had implemented DTT transitions that opened a plethora of new opportunities for its local content creators, and by how well Kenya has built up its film industries in general.